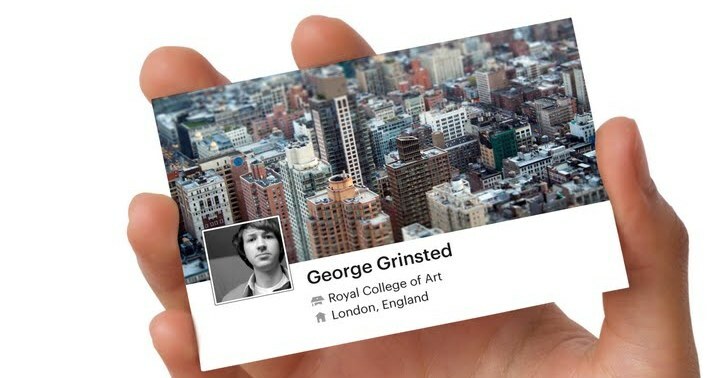 UK online printers Moo.com is launching what it calls a ‘new model of social-business-networking’, announcing an integration with Facebook that creates customized printed business cards that draws on content held in users’ Timelines. The cards are designed and personalized by each individual, and can feature a different image on the front of the cards alongside a favourite quote on the reverse. So, instead of each business card looking exactly the same people can mix and match images to suit the business or social occasion. The integration lets Facebook users leverage the content they’re adding to their Timelines for their own personal Facebook card. So you can extract snapshots of your lives from your Timeline and bring them into real life networking situations. “It’s clear that consumer habits of sharing business and personal information are evolving, and the lines between online social networking and offline business networking are not just blurring, but vanishing,” says CEO and founder Richard Moross. According to Moo.com’s research, consumers are increasingly looking to ‘socialize’ their business card experience in the offline sphere, adding personal touches commonly associated with Facebook timelines. Its data suggests that consumers are wanting to stand out more when sharing contact information in a business setting, with catchy job titles such as “Chief Happiness Officer”, “Linux Geek”, “Personal Shopping Trailblazer”, “Web Kahuna”, “SEM Rockstar” and – wait for it – “Plumber Hero”, alongside more traditional job titles. 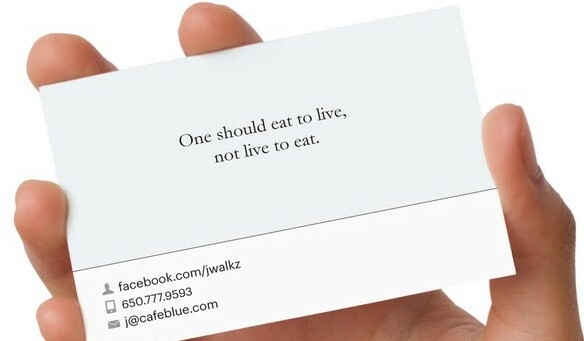 To create your own personalized ‘Facebook cards’, visit: moo.com/facebook-cards, where you’ll be guided through the process – you will, of course, have to connect your Facebook account with your Moo.com account. We first reported on Facebook’s Timeline feature when it was announced at its f8 conference back in September, and the feature has had mixed reactions since then. Indeed, only yesterday The Next Web’s Drew Olanoff wrote how Facebook users who don’t like Timeline are being scammed. Moo.com is also announcing a first-come, first-served offer, giving the first 200,000 people to place an order 50 free printed Facebook Cards. To stand a chance, click on the Moo.com ‘rollover’ box that will appear on the ‘Contact Info’ section of your timeline from 5pm (GMT) today. We last featured Moo.com when CEO and founder Richard Moross participated in the Survivor Stories seminar during Internet Week Europe, where he outlined how he pivoted the company at an early stage and transformed it into the success it’s enjoying today. Launched in 2006, it’s now one of the fastest growing print businesses around, serving customers in 180 countries.